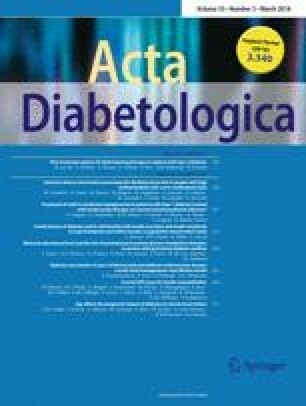 Many factors for the development of diabetic complications have been intensively investigated, and, to date, the cellular mechanisms of hyperglycemic damage are well understood . Control of blood glucose and HbA1c levels does not always achieve the aim of preventing diabetic complications. In conclusion, there may be more pathogenic factors despite hyperglycemia to account for the development of damage. A correction to this article is available online at https://doi.org/10.1007/s00592-019-01330-9. Antibody detection was performed by E.R.D.E-AAB-Diagnostics GmbH, Berlin, Germany. The authors would like to thank Marion Bimmler and Petra Hempel for their cooperation and perfect technical work. Based on these results, we initiated a larger study, substantially financed by Fresenius Medical Care. All investigations published in this article were financed by house funds of the authors.